JUST BRING YOUR TOOTHBRUSH, open the door, put your bags down and step into life in Taos. This sweet 1,045+/- sq. 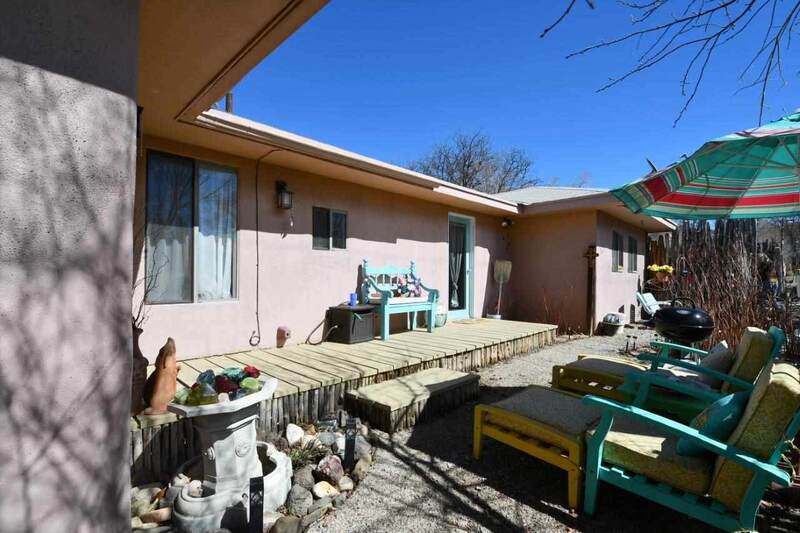 ft. 1BR/1BA abode w/ office is tucked in the heart of Taos so you can walk everywhere. Shops, galleries, museums, and restaurants are just out your door. 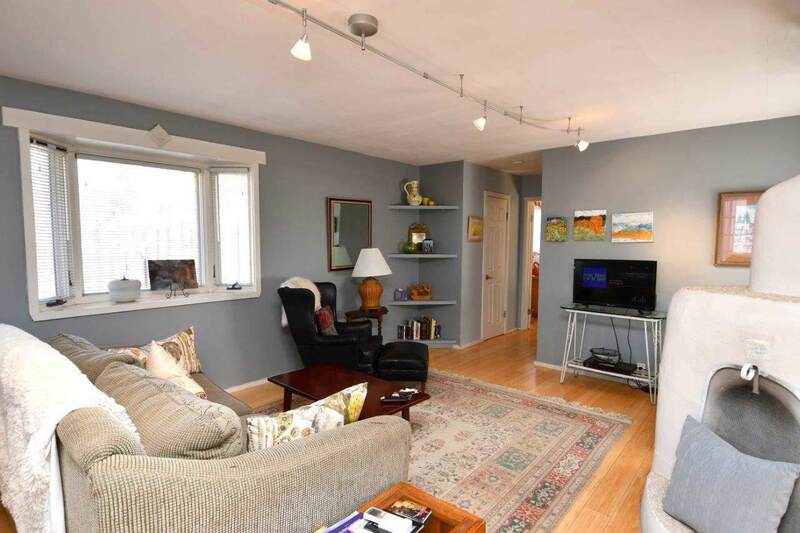 Light, open living area with cheery, bright kitchen and ample living room. There is ac/heat unit in both living room and bedroom. 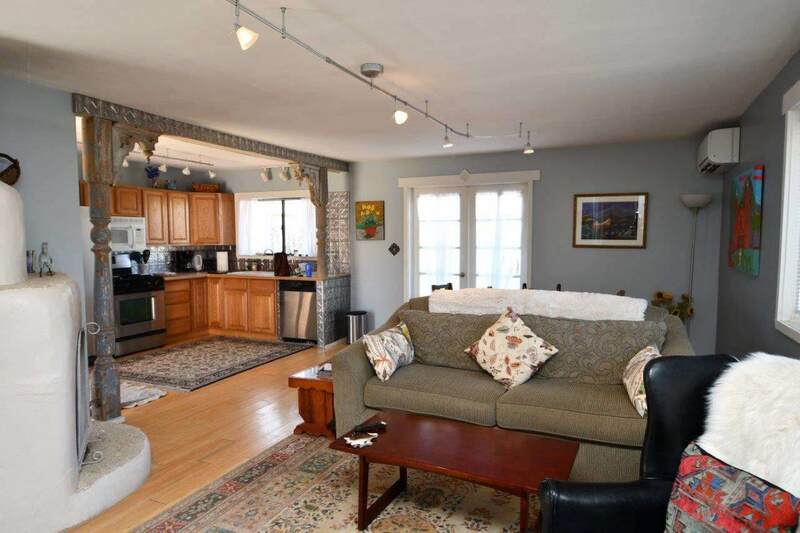 The property is fenced for privacy and pets. Sit on the front porch in the morning and sip your coffee or tea and enjoy the petite side deck for cocktails in the afternoon. Taos Ski Valley is 30 min. N., Rio Grande Natl Monument 20 min. W., golf 20 min. S., and USFS 15 min. E. Michaels Kitchen is practically across the street, Kit Carson Park and Taos Community Auditorium just up the way, and shop lined Bent St. a few blocks away. Perfect for a pied-a-terre, AirB&B, or home sweet home. Can be sold fully furnished.